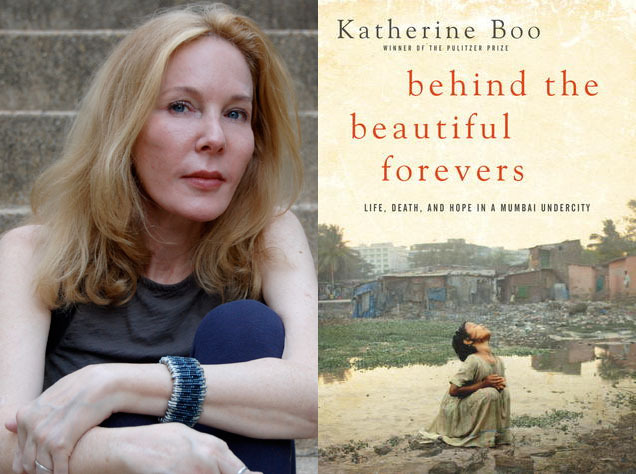 In “Behind the Beautiful Forevers: Life, Death, and Hope in a Mumbai Undercity,” investigative journalist Katherine Boo exposes readers to the human stories behind the present-day volatility of global economic change and inequality. Boo’s book describes Annawadi, a slum of Mumbai, India, where she follows the interconnected lives of several residents, including a young trash picker, a female slumlord and a college student. All three face daily struggles ranging from corruption, hunger, disease, dirt, ethnic strife and violence while striving toward a better life. Boo has documented the lives of people from disadvantaged communities over the past two decades and has won the Pulitzer Prize for Public Service, a MacArthur "Genius" Fellowship and the National Book Award. A book signing will immediately follow the author's presentation. The 2018 Arlington Reads series features an investigative journalist, a Princeton sociologist turned urban ethnographer and a leading authority on housing policy — each telling stories of people’s hopes, dreams and losses in the imminent face of eviction, segregation and inhumane living conditions. May 3 - Richard Rothstein, author of "The Color of Law: A Forgotten History of How our Government Segregated America"
May 17 - Mathew Desmond, author of "Evicted: Poverty and Profit in the American City"